Buy 6 - Get 1 FREE... plus FREE Goggles. - FREE PRIORITY MAIL SHIPPING on orders over $89. 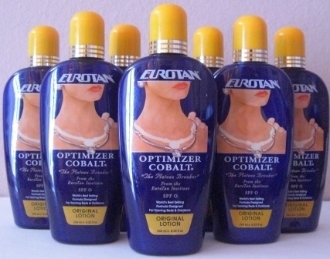 All EuroTan lotions have special moisturizing ingredients which soften your skin and prolong your tan. Use daily and save on expensive skin creams. Qualifies for FREE Priority Mail Shipping if you add $11.30 to your order.